Moving past the hustle of our early access release, the team is now focused on creating new content. Our biggest goal right now is to extend the replayabilty of The Torus Syndicate, by taking the core mechanic of fighting enemies, taking cover, and moving between areas, and applying different parameters around it to create new modes that deliver more of the core experience. To that effect, we’re building 2 new modes; Survival, where enemies continuously attack in greater and more advanced numbers until the player loses, and Time Trials, where players complete various challenges to get the best time or the highest score. 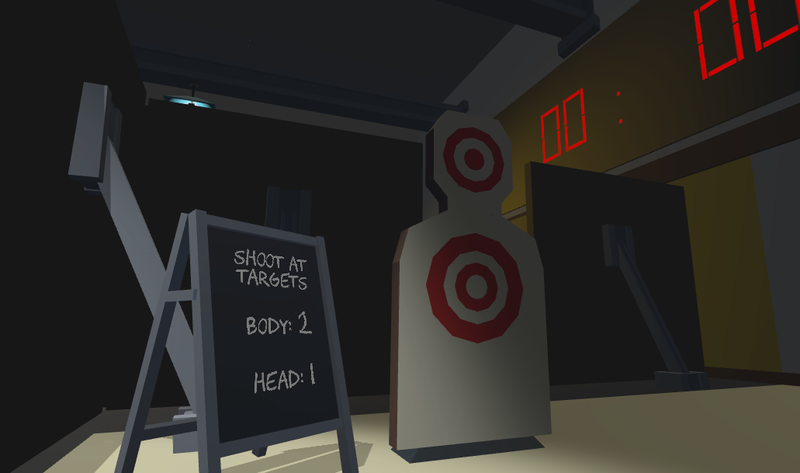 In this challenge, players will shoot at pop-up targets and compete for the best time. The new area will come with new achievements and Steam Leaderboard support. Target positions are randomized each time, requiring quick reflexes over memorization. This update should be available to play sometime this week. We’re excited to see how quickly our players can complete the course! It’s been about a week since the launch of our first title, The Torus Syndicate. We’ve thoroughly appreciated watching so many people enjoy the game. One of the little details that we think contributed to the positive responses we’ve seen is how the game adapts to the each player’s individual setup and adjusts for each task they’re trying to achieve. Curated Locomotion (the game’s teleportation system, about which I’ve talked about in a series of posts) is a perfect example. It uses the play area’s shape and size to fine-tune each destination so that the player can best take advantage of the environment to accomplish their goal. When players move into a firefight, Curated Locomotion ensures they’ll have ready access to cover. When breaching a door, Curated Locomotion ensures that players have plenty of play space in the room ahead. The fine-tuning mechanism is baked into the process through which we design each level. The process starts out pretty standard with laying out the map and populating it with scenery, much of which our players duck behind as cover while they fight through the world. We also configure the NODE AI Director, giving it an idea of what kind of challenge we want to throw at the player. Each playthrough might be different, but the broad strokes are locked down enough that we can tell which locations provide the most tactical advantages. In fact, that’s exactly what we do. As we install each locomotion site, we place a few different prototype play areas of varying dimensions. When a site becomes available for teleport, the game finds the prototype that best fits the actual play area and adjusts the site accordingly. 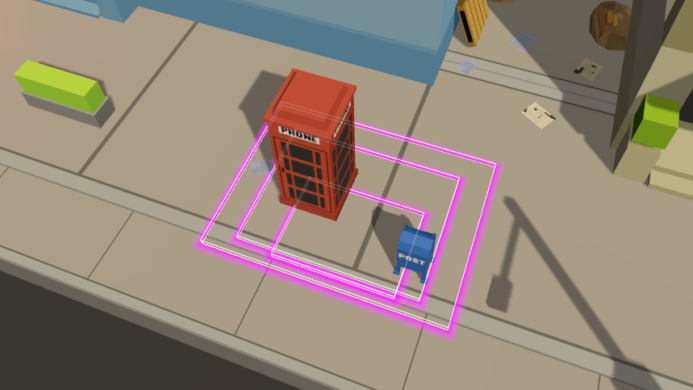 For this street fight, prototype play areas are arranged so that small ones don’t waste any space with solid objects, like the phone booth and mailbox, while still providing adequate access to cover. 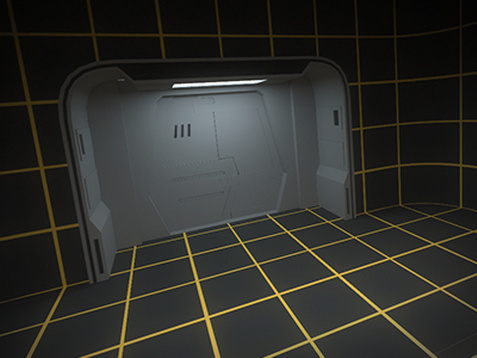 These adjustments allow us to hand-craft each situation and accommodate a wide range of VR setups. 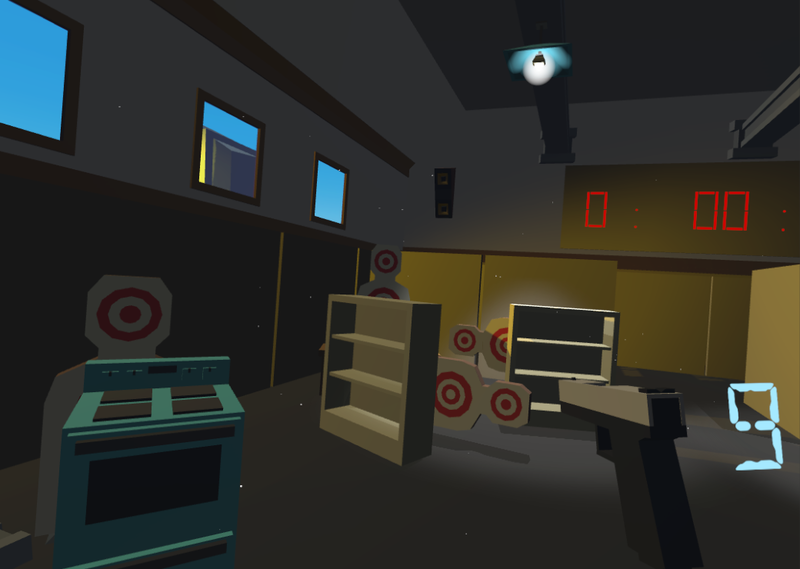 Whether a player is peeking out from behind a car to take down bad guys or breaching a hotel room, we’ve made sure that everything they need is always readily available. And that definitely helps make for a seamless — and frustration-free — experience. Early in the design of The Torus Syndicate, we knew that we wanted some sort of object that the players can throw in the game; This object would provide alternative combat options that required some skill to use, but results in a great payoff if placed/timed right. The goal was to create meaningful choices for the player while they’re playing the game; Whether to use the powers now and risk not having it when a more challenging scenario occurs, or to use it now in order to get past a particularly tough situation. The initial approach we went towards is to simply let the players pick up the object and throw it. It was the intuitive solution; Since the players now have hands; Why not let them actually toss the object? Surely it would increase immersion! As it turns out, the mechanic was a double-edged sword; While it was certainly awesome to chuck a grenade across the world into the feet of some poor NPC, it was also incredibly hard to do so with any kind of accuracy. After a couple throws, we also found it to be quite tiring if the grenade needed to go somewhere far away. On top of that, it was also really inconvenient to use, requiring the player to do multiple steps in order to actually use the grenades. Stepping back from the ledge of bad game mechanics disguised as new immersive experiences, we had to ask ourselves the question; Is it too much? Are we getting what we want? In the initial goal, we know that a successful player should be able to use this tool in a skillful manner. Having the player toss the grenade introduces a mechanic that is so variable that a skilled player might still fail in their task from time to time, and a novice player has practically no hope of the item doing what the player wanted to do. This isn’t fun, it’s the definition of frustrating. The example above goes back to one of the earlier topics about mastering the craft; Being a master requires not just knowing what to put in, but what to leave out, as well. A director doesn’t use every type of cut or transition he/she knows simply because it’s a film. Instead, the good director chooses the types of cuts and transitions that best communicate the goal of the movie, which is to deliver a story. In a similar vein, we realized that we needed a different way to deliver the gameplay we wanted. 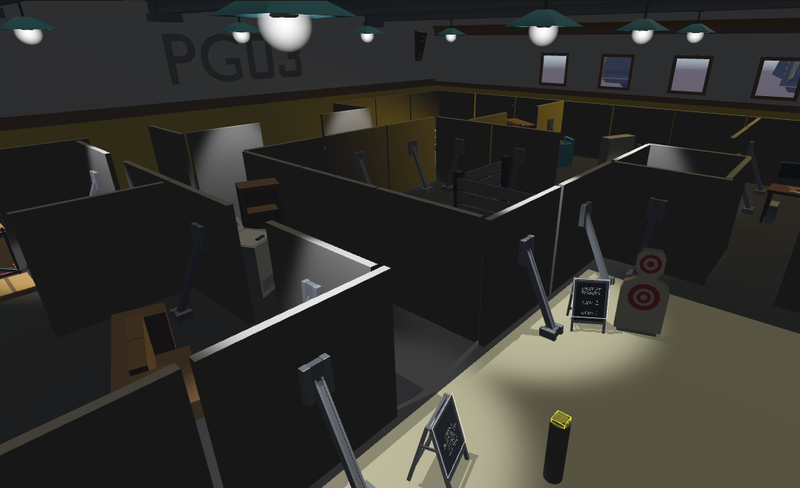 We eventually repurposed a common teleportation approach in VR; Using the user interface of a parabolic arc teleporter, we had a method to show the player the trajectory and landing location of their grenade using a single button press, and provide real-time feedback to the player on how changes to their controller orientation would affect the trajectory. This fits the design goal of providing timely and effective usage of the tool, it was also accessible to all players (independent of their strength) and saved us significant amounts of time than if we implemented another system. It’s certainly a more game-y design, but we think it’s an appropriate trade-off when we see it through the perspective of usability. We here at Codeate are celebrating our two-month anniversary of the Torus Tuesday Dev Blog. It has been a joy to write about our journey developing for virtual reality as well as share some of our thoughts regarding the interesting interaction problems that generating VR content entails. We’ve spent the past few weeks talking about the process of developing The Torus Syndicate and the new ideas we intend to introduce through it. For all those pages of texts and brief animations, however, we’ve only given you a few tantalizing glimpses of the actual game. Today will be different, as we’re now presenting our first ever teaser for the game. The Torus Syndicate is an intense, non-stop arcade rail-shooter built from the ground up for room-scale virtual reality. It follows Lucas Lawson, a rookie cop swept into the dramatic underworld of the Torus Syndicate. Players put their shooting, dodging, and tactical skills to the test as they battle across an urban landscape in a quest for justice. We’re so excited to be sharing our game with the world in just a few weeks under Steam as an Early Access title. Stay tuned! In a previous post, I spoke about the concept of world building, and how it is a crucial component to making games feel immersive, especially in VR. Today I want to build on the idea of world building by introducing the need for VR games to have toys. If you look around, toys exist everywhere in our world; Chances are, there’s a toy sitting on your desk at work, or a toy somewhere in your living room. It might be prudent, however, to define what a toy is, before continuing. A toy is something you play with. It’s simple as that. A toy is an object that can be engaged with, for the purpose of deriving some pleasure from it. A simple coin can be played by spinning it; Or a pen by twirling. It is surprising how often humans engage in play without even fully realizing it. Perhaps it is at the core of human nature to play with toys. Just as it is human nature to wonder what a button or a knob does when we encounter something unknown, we are constantly on the lookout for something that engages our need for play. I believe the same holds true for virtual reality experiences. A convincing world should have toys; Things that can be picked up, manipulated, and get some sort of feedback. During testing, players are often disappointed when they learn that they can pick up some objects, but not all objects. In a way, this is restriction through empowerment; Once the player is aware of their ability to pick up objects, they are more disappointed at its limited use then if they were not able to pick up any objects at all! 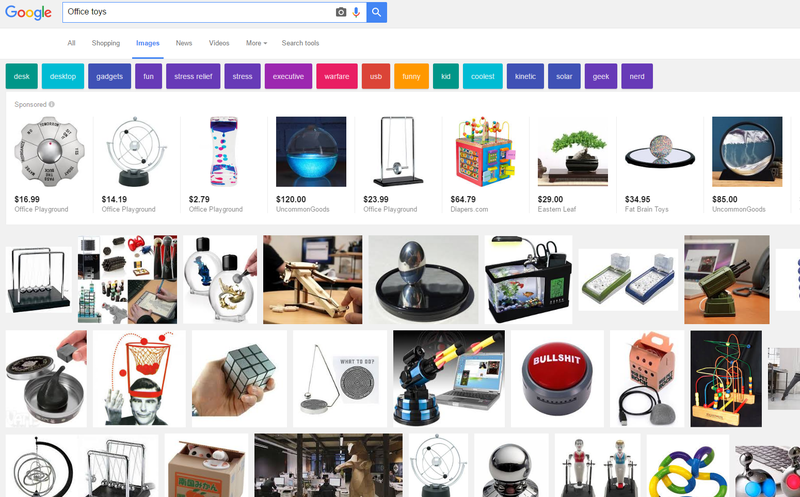 It is important here to separate the concept of toy and game. Although both is meant to be played and hopefully fun, games have the distinction of a goal and can be won or lost. A tennis ball can be a toy because you can throw it around, but a tennis game requires rules, points, another player, and most importantly, creates an outcome where some players win and some players lose. It may become self evident, then, that although toys are an important part making a game immersive, it must not be so distracting as to muddy the goal of the game itself. Wherever possible, the toy should help tell a story, and used as a way to contribute to the overall quality of the game. We are getting closer and closer to the release of The Torus Syndicate; We’ve got something big to show everyone! I’ve spent the past few weeks talking about Curated Locomotion, our novel method for moving through a large virtual world. We’ve discussed its inspiration and its early days; now, it’s time to talk about what it actually is (or, rather, has become). When we last left off, Curated Locomotion was stuck on the concept of the teleportation pad. At appropriate times, the player would see curated destinations, each one represented by a disc on the ground: the teleportation pad. In order to best use the player’s physical play area, we would also project another pad near them in the physical location we determined to be most optimal. After selecting the destination pad, the user would stand on the projected pad and complete the teleport. Unfortunately, the pads — especially the projected pad — confused users. We ultimately determined they had to go. The pads served an important purpose that we couldn’t give up, though: they anchored the player’s position, both in the virtual world and in their play space. The key to removing them was realizing that, at a fundamental level, our real concern was all about that play space. What we were trying to achieve was to place the user’s play space most optimally in the virtual world. We didn’t need the pads so long we could tie the play area to specific virtual locations. Our solution is similar to the way the pads worked, but sort of in reverse. Instead of projecting the destination pad into the player’s original space, we project the player’s play area into the destination. Each destination is represented by a translucent box showing what the bounds of the play space would be if the player teleported to it. In a way, these teleportation boxes are better than the pads in that players can easily see what they’ll be able to interact with should they choose a particular site. In another way, though, these plain teleportation boxes miss something that the pads had: they don’t show precisely where the user will end up, which depends on where the player is physically standing. In the best case scenario, that’s disorienting to the user. In the worst case scenario, the user could accidentally teleport into a solid object. Consequently, the Curated Locomotion system projects an avatar into the box that mimics the player’s relative position. To help guide the user, the avatar changes from its normal green color to red when it is obstructed and teleportation is blocked. Furthermore, the avatar shines through all objects so that, in the event that it is obscured, the player can tell which way to move to unblock it. The user is in control here; they can teleport from any open space in their play area to any unobstructed spot in the curated destinations. Ultimately, we were glad to give some of that control back to the player. While it’s true that losing the pads meant we lost fine-tuned command over the user’s starting position in each teleportation destination, we still are able to keep the user ideally situated in their physical play space in a fairly seamless fashion. We can do better, though, than just fairly seamless. Instantaneous teleportation is definitionally not smooth; there’s a harsh seam when the player warps in the blink of an eye. We wanted the players to fully experience the world, not feel like they were just jumping through it. We were concerned that Curated Teleportation would only heighten that sensation because the destination sites are often far apart. Fortunately, we noticed that the community solved this problem for us with the “blur sprint.” When players select their target site, the game doesn’t move them there instantly. Instead, the player rapidly moves through the intervening space. We have to severely blur the display to prevent motion sickness, yes, but the players see enough to get a sense that they are traveling through the world and not skipping through it. That immersion, from blur sprinting and especially from Curated Locomotion, is precisely what started us on this journey in the first place. The end result is a snappy, riveting game. We’re hard at work developing The Torus Syndicate, and we couldn’t be more excited to unveil it in the coming weeks. Stay tuned; it will be worth it! With the recent announcement and pre-orders opening for the Oculus Touch controller, both top-end VR Systems (Oculus Rift & HTC Vive) now have a way for users to track their hand movements. Having worked with the HTC Vive motion controllers, it is obvious why both companies have decided to introduce motion controllers instead of the traditional gamepad; The experience is simply more immersive. With the introduction of the hand controllers, new questions and challenges have arisen from the its use, in particular, the ergonomics of allowing both left-handed and right-handed users to comfortably use your product. This is an important issue, as we’ve found that although many players are right-handed, there are players who would prefer to use their left hand as their dominant hand. Enabling these users should be a part of a VR designer’s responsibility. Allow both hands to do all actions: If the design allows for it, this is the most simple method; Players will naturally pick what they’re comfortable with. A example of this are the dual guns/shield in Space Pirate Trainer, which allows the user to pick whatever configuration of gadgets on either hand. For a limited set of potential actions by the player, this is the best approach. Physically switch controllers: This is relatively simple, but sub-optimal. Physically switching controllers represent an immersion breaking scenario where the player is reminded of their connection to the real world. This should be avoided. For Torus Syndicate, we’ve decided to create a setting menu that switches the dominant hand. This approach works well for situations where there is a clear dominant and auxiliary hand. This also has the benefit of being easy to implement, as SteamVR handles arbitrary assignments of devices on the fly. Development is going at a rapid pace here at Codeate; We’re excited to be showing off our levels in just a few weeks!